Pretty typical folding effort back in the old days… like, yesterday. And then, the awesome moment of discovery that it doesn’t have to be that way! One blog link led to another and the next thing I knew I was watching a Martha Stewart clip! (exclamation point because for anyone who knows me they will know it’s the first Martha clip I’ve ever watched, lifetime). Never let it be said you can’t teach an old dog new tricks! I have been on a folding frenzy! Maybe I should reconsider my earlier aversion to all things Martha. I can now fit a whole stack of fitted sheets into the space formerly taken up by the huge rumpled mess made by one balled up blob! Something like this should not make me so happy… but it does. 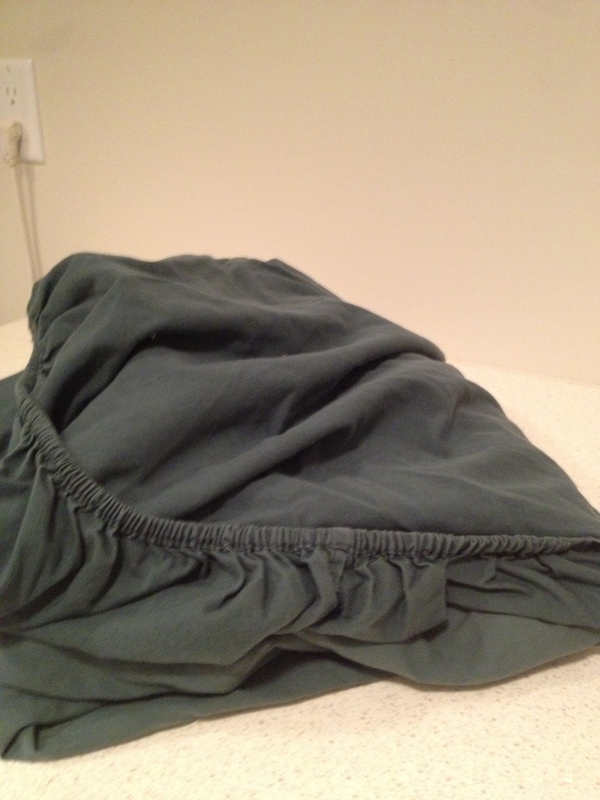 And, given it’s true confessions Tuesday, I hereby admit that a) I had no idea how to fold a fitted sheet before today and b) it took Martha Stewart to set me straight. This entry was posted in Blog, Uncategorized and tagged Dark Creek Farm, how to fold fitted sheets, martha stewart, true confessions tuesday. Bookmark the permalink. Oh my god, that’s hysterical! We’ll have to watch the video too. I am the product of a parenting style that included learning and executing hospital corners on a weekly basis. For years. And then I joined the Navy. 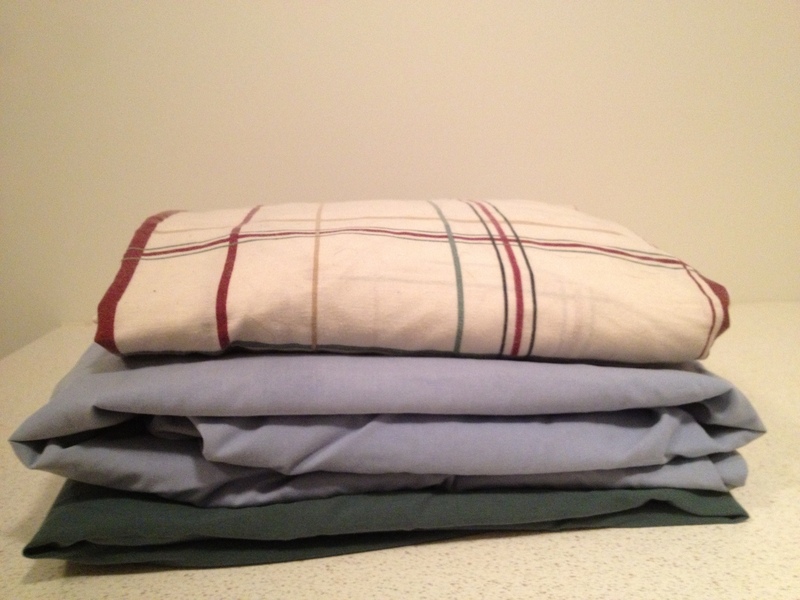 I have had fitted sheets for a decade or two now, and my secret to success (though I did learn to fold them without Martha’s help) is to not have enough of them to put away. One set on the bed, one set in the laundry. Ha.